Take a break from New Delhi with a short trip to Cyber Hub in Gurugram (Gurgaon), about 42 minutes away. 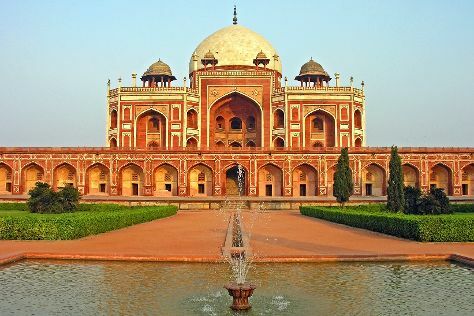 There's lots more to do: admire the striking features of Humayun's Tomb, steep yourself in history at Gurudwara Bangla Sahib, take in the spiritual surroundings of Bahai Lotus Temple, and tour the pleasant surroundings at Lodi Gardens. To find maps, other places to visit, photos, and tourist information, read New Delhi custom trip planner. If you are flying in from United States, the closest major airport is Indira Gandhi International Airport. In June in New Delhi, expect temperatures between 102°F during the day and 83°F at night. Finish your sightseeing early on the 21st (Wed) to allow enough time to travel back home.